Please familiarize yourself with ORUD’s policies. 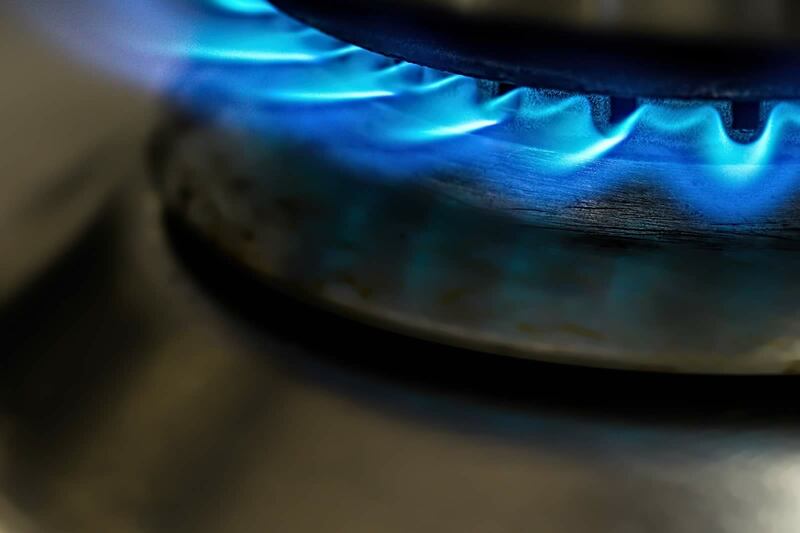 a.If, in the opinion of the District, a condition exists on or near the customer’s premises that would make the continuance of gas service unsafe. b.If the company has reasonable evidence that there is, or may be, an improper or illegal use of the service or any tampering with the District’s equipment. c.Upon request from the customer, subject to the provisions of any agreement between the customer and the District. a.For nonpayment of any bill for gas service or any other charge due to the District. Any exercise by the District of the right to discontinue service shall not limit or abridge the District’s right to pursue any legal or equitable remedies. There has been gas consumption on an inactive meter that cannot be contained by accessing the District’s meter. Damage to the District’s equipment prevents a cut-off from being achieved at the customer’s meter. Actions within the customer’s control have prevented District access to read the customer’s meter. Prior to disconnecting service at the street to any customer for the above causes, the District shall leave a notice on the door of the premises notifying the customer that service is subject to discontinuance without further notice. Once a customer’s service has been discontinued for nonpayment, the District shall utilize all legal means to enforce and collect amounts rightfully due to the District. This may be accomplished by the District or its agents. Any condition deemed unsafe by the District has been corrected. All bills for service due to the District are paid, or an installment agreement to settle the bills is executed between the customer and the District. All applicable reconnection charges and deposits are paid. ORUD IS REQUIRED BY FEDERAL LAW (FACT ACT-RED FLAG POLICY) TO VERIFY YOUR INDENTITY BY USING THE FOLLOWING FEDERAL GUIDELINES PRIOR TO HAVING SERVICE CONNECTED. RESIDENTIAL CUSTOMERS: There will be a non-refundable initiation service fee of $50.00. If reconnected for nonpayment, a $75.00 non-refundable connection payment is required. It is the District’s policy to require a cash security deposit of up to $500 from new and prior residential customers. However, the deposit may be reduced or waived based on a satisfactory credit report. After two years of satisfactory payment history, residential customers’ deposits will be credited to their bill. COMMERCIAL & INDUSTRIAL CUSTOMERS APPLICATION REQUIREMENTS: There will be a non-refundable initiation service fee of $50.00. If reconnected for nonpayment, a $75.00 non-refundable connection payment is required. All commercial and industrial customers are required to post a security deposit to receive service. These deposits are based on an estimate of two months maximum usage using historical sales volume at the service location and/or load sheet data obtained to the size the service installation. Cash, non-cancelable letters of credit, bonds and pledged certificates of deposits are acceptable security deposit methods for commercial and industrial customers. Commercial and Industrial deposits are refunded upon discontinuance of service. ALL CUSTOMERS: The District may apply a deposit against any unpaid bills for service, and in such cases, the customer will be required to reestablish a deposit in an amount satisfactory to the District. Upon discontinuance of service the District shall have a reasonable time in which to ascertain that the obligations of the customer have been fully performed, before being required to return the deposit. Upon final discontinuance of use and settlement of all bills by the customer, any deposit with accrued interest not previously refunded, will be returned to the customer. Customer credit balances under $1.00 will not be refunded. With regard to unclaimed customer credit balances, the District follows the Tennessee Unclaimed Property laws. At the discretion of the District, the deposit requirements are waived or reduced for service to: (a) Organizations exempt from federal income taxation, provided they have a valid tax exemption certificate on file with the District, (b) federal, state and local governments, (c) government facilities where a third party company requests service acting as an agent to the government, (d) a rental unit subject to a contract with a landlord providing that the gas service shall continue during periods when the unit is NOT OCCUPIED by a tenant, and that the landlord shall be responsible for the payment of bills for the gas service until the account is established in the name of the new tenant (a deposit shall apply to the new tenant), and the landlord maintains its account in good standing, (e) a builder, contractor or developer on a temporary basis prior to occupancy of the premises, and (f) commercial and industrial customers on a case-by-case basis for the purpose of fostering economic development. Should any customer receive a door hanger notification that gas service will be suspended, that customer may be required to post a new deposit or increase a current security deposit of up to the maximum as outlined above, at the discretion of the District. No assignment of any deposit shall be valid without the written consent of the District.